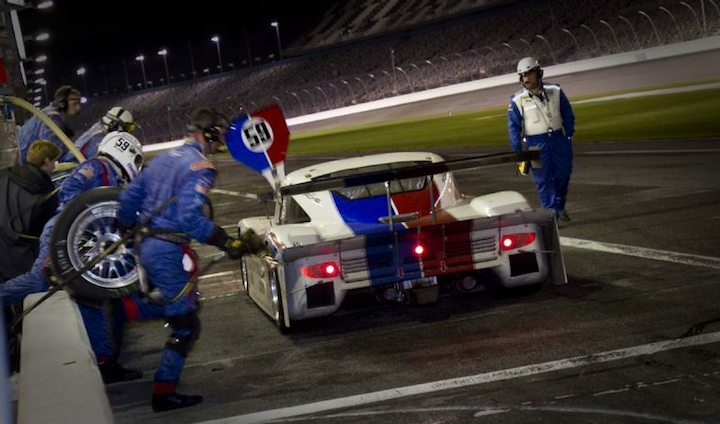 The last hour at the 24 Hours of Daytona is a nail biter: the cars are tired, ailing machines with potential for mechanical breakdowns; the crew are even more tired and pit stops become more challenging because fatigue contributes to the possibility of human mistakes during even routine stops. 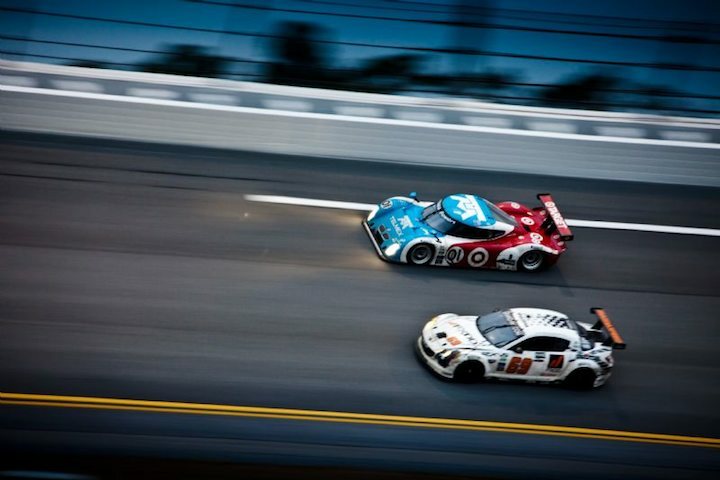 The 48th edition of the Daytona 24 Hours had the predictable amount of attrition, but it was hard racing all the way. 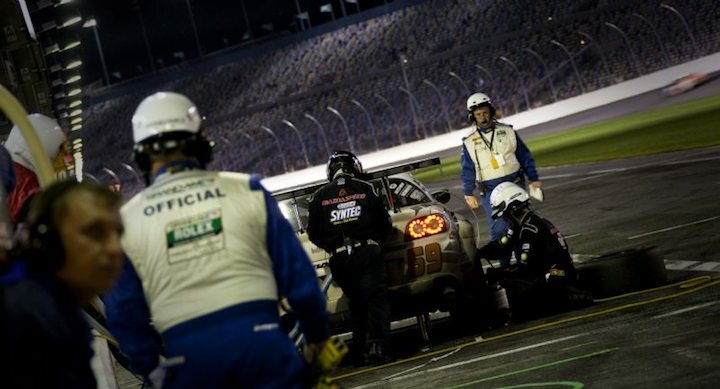 Adding to the difficulty factor was the air temperature, which by noon was down to 50 degrees, affecting not only the grip of the tires but also the comfort of crew members who had been out in the elements since early Saturday morning. 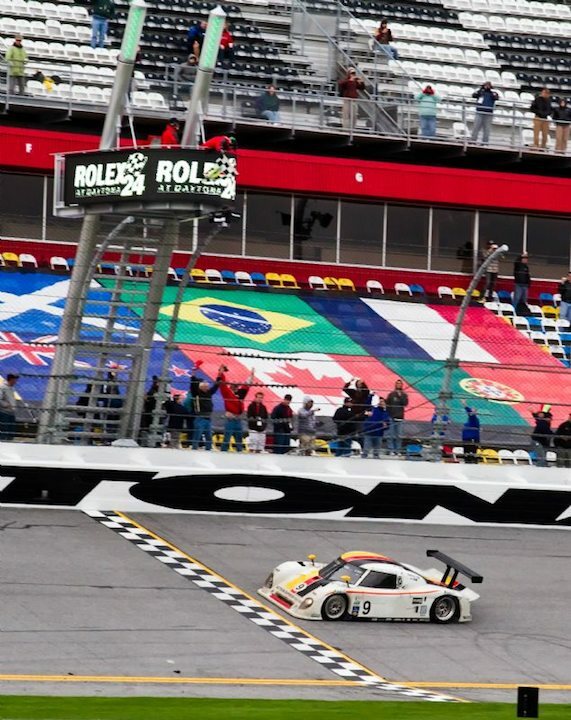 With half an hour left of racing the contest came down to two cars: the #9 Action Express Racing Porsche/Riley driven by Joao Barbosa of Portugal and the #01 Chip Ganassi Racing with Felix Sabates BMW/Riley driven by Scott Pruett from Auburn, California. 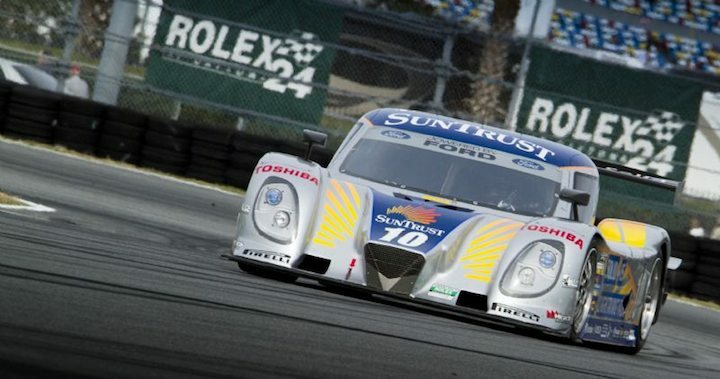 With 15 minutes left in the race the excitement grew because Pruett, who is known as a hard-charger, was only 52.640 seconds behind the leader. 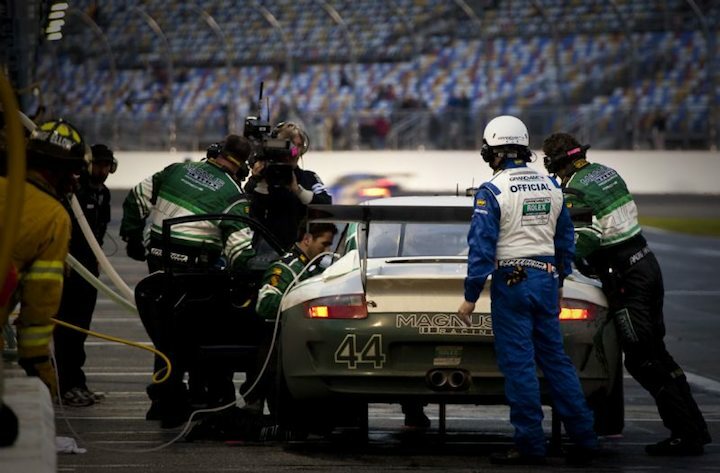 The possibility of a yellow flag incident – allowing the field to close up behind the pace car and create a whole new race scenario for Pruett to potentially benefit from – added to the tension as the race reached its conclusion. 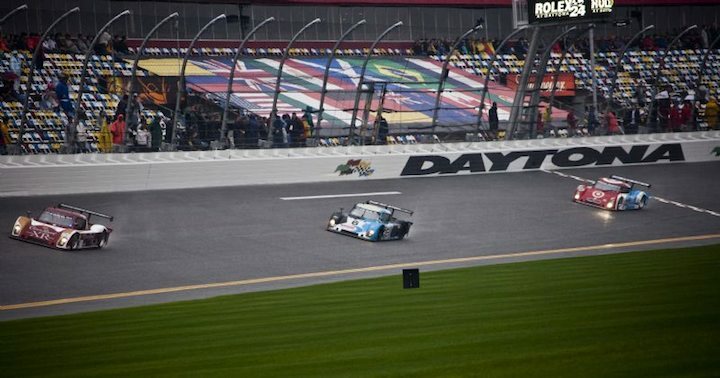 In the end, and especially for anyone who enjoys cheering for the underdog, there was ample reason to cheer for the checkered flag finish of the 2010 Rolex 24 At Daytona when Barbosa crossed the finish line first after 24 thrilling hours of racing. Pruett had pushed hard to catch him, but in the end the 52.303 deficit was just not attainable. 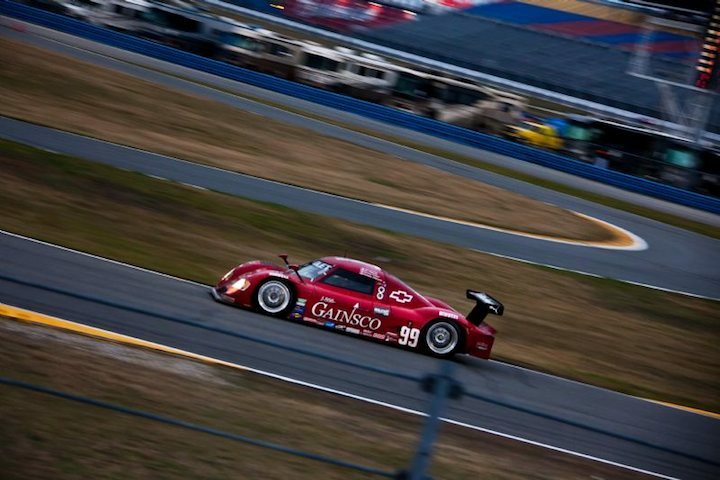 The winning #9 Action Express Racing team is a multi-national effort with four nationalities represented just in the driving line-up alone: Barbosa hails from Porto, Portugal; Terry Borcheller from Vero Beach, Florida; Ryan Dalziel from Coatbridge, Scotland; and Mike Rockenfeller from Neuwied, Germany. 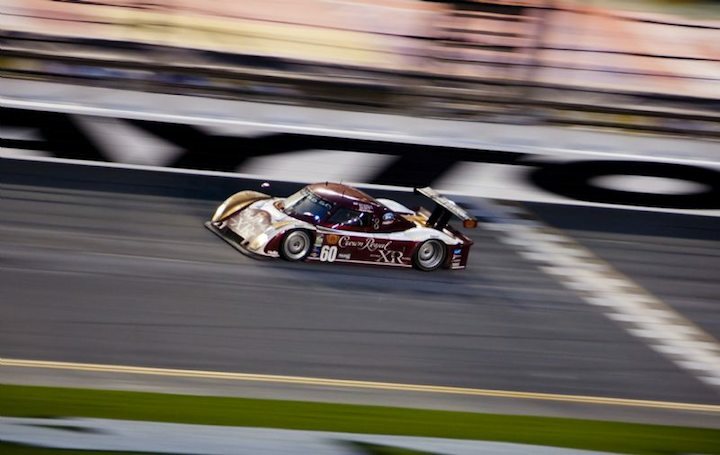 Finishing third in Daytona Prototype was the #95 the Crown Royal/NPN Racing BMW/Riley driven by Scott Tucker of Overland Park, Kansas, with Ryan Hunter-Reay from Fort Lauderdale, Florida; Lucas Luhr from Monte Carlo, Monaco; and Richard Westbrook from London, England. 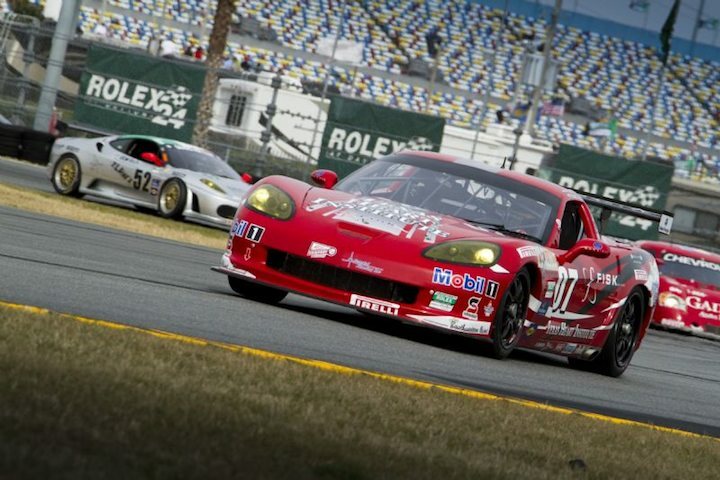 The GT class was a 30-strong field of very competitive cars, of which less than half finished this endurance test. The race was won by the #70 SpeedSource Mazda RX-8 with an All American team: Nick Ham from Evergreen, Colorado; Jonathan Bomarito from Monterey, California; David Haskell from Plantation, Florida and Sylvain Tremblay from Sunrise, Florida. 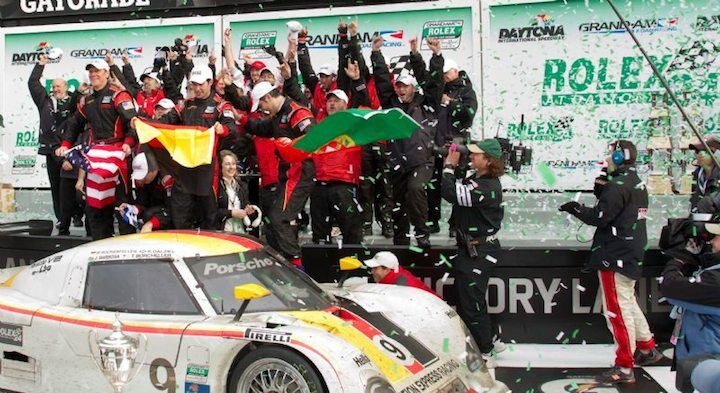 Finishing second was the #67 TRG / Flying Lizard Motorsports Porsche GT3 driven by Jorg Bergmeister of Langenfeld, Germany, Patrick Long from Belleair, Florida; Seth Neiman from Woodside, California; and Johannes Van Overbeek from Oakland, California. Third went to the #66 TRG Porsche GT3 driven by Ted Ballou from Corona del Mar, Calif., with Kelly Collins and Patrick Flanagan, both of Newport Beach, California; Andy Lally from Dacula, Georgia, and Wolf Henzler from Nuertingen, Germany. 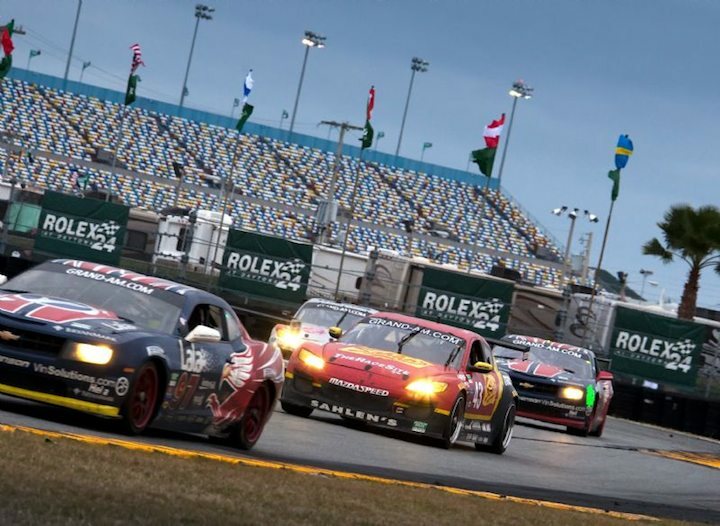 Through all the rain and adversity it was a very fast Rolex 24 At Daytona. 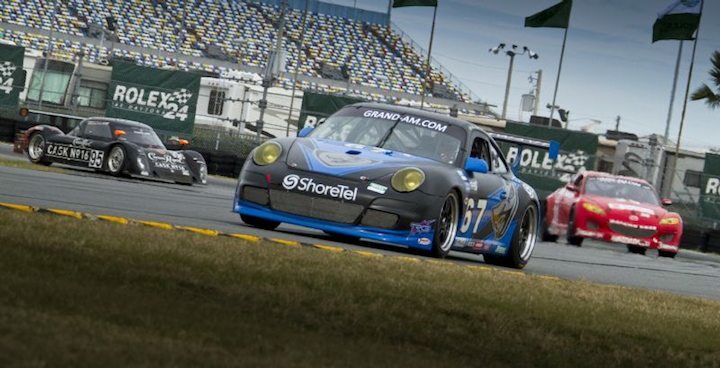 This 24 had a lot of damage done to it; records were set for distance with 755 laps completed; there were 53 different lead changes; it was the 22nd overall win for Porsche and the 16th class win for Mazda. 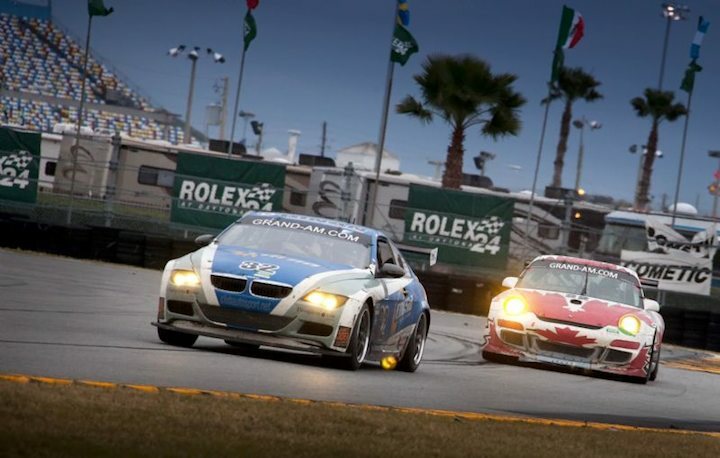 This Super Bowl of Grand Am racing was won by a new team, who started in the rain and finished in a shower of champagne. Just another event – to call it a race would be a farce – to forget. 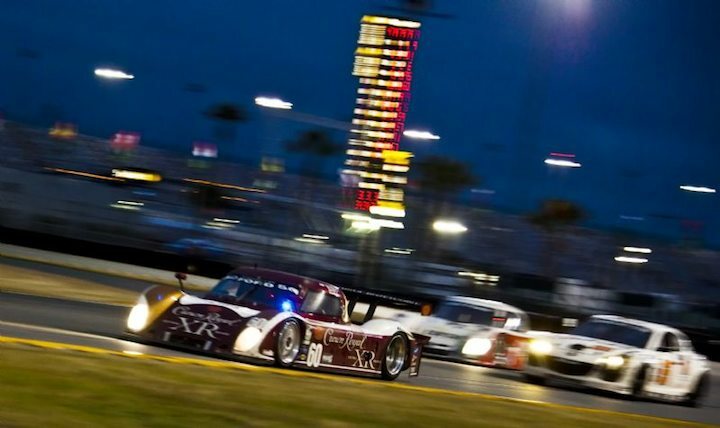 The Daytona 24 Hour hasn’t been worth following since Grand Am began sanctioning it. 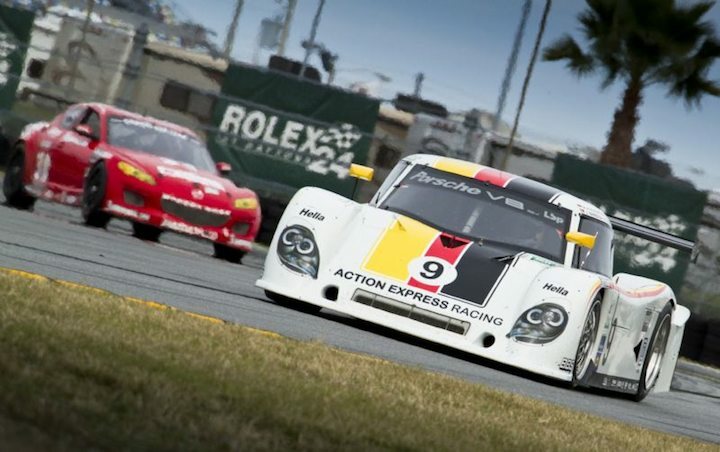 Gone are the real prototypes to be replaced with a contradiction in terms the Daytons Prototype, a spec prototype. Oh, and who told some of these guys they could go out on cold tires and turn laps as fast as they could on tires that were up to temp? BEING A FERRAR FAN AND OWNING A 458,HOW DISSAPOINTING WAS THEIR PERFORMANCE, PORSCHES ATE THEIR LUNCH. TOO BAD. It was a first year effort for Ferrari; they did reasonably well, all things considered. 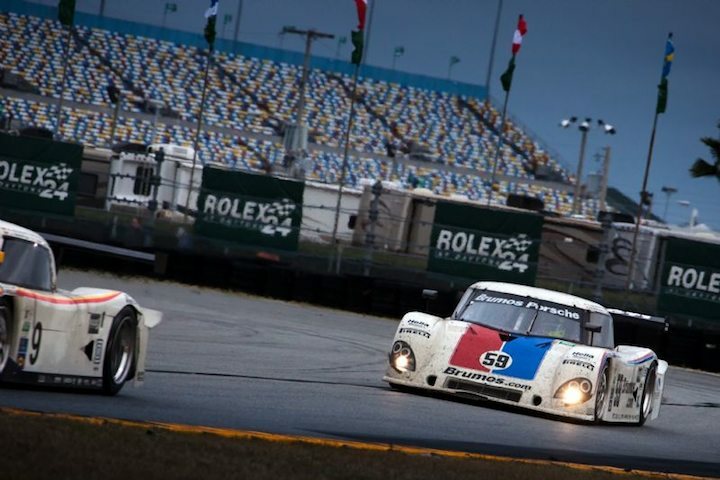 The Porsches have been there since Day One and they’re not going away.